Philby’s Partridge Alectoris philbyi is a rare resident of the south-west highlands. The best sites for locating the species are the terrace fields near Tanoumah, the dry scrub covered hillsides on Jebal Souda plateau and the area around Al Baha. They prefer juniper dominated habitats where rocky knolls & clearings occur and ocurs from 1500 – 3000 metre elevations. Numbers have declined significantly in the Jebal Soudah area, probably due to increased human activity in the area. 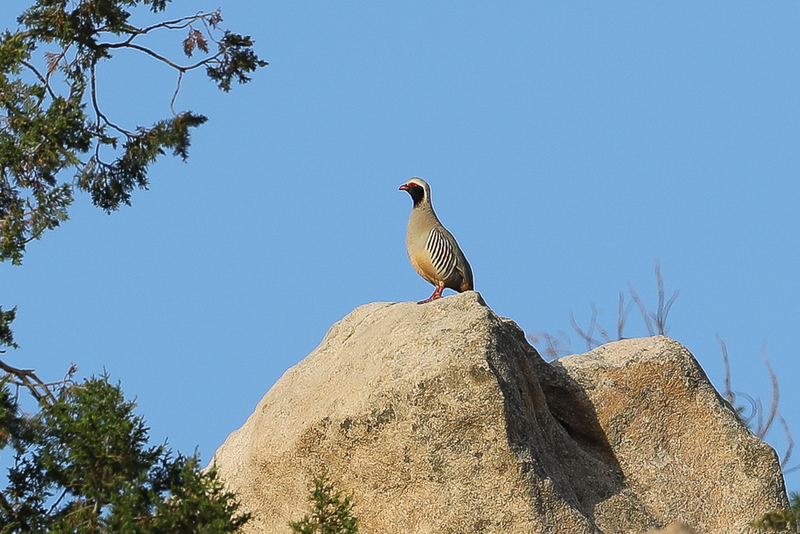 The Philby’s Partridge is related to the Chukar & Red-legged Partridge and is native to south-western Saudi Arabia and Yemen. 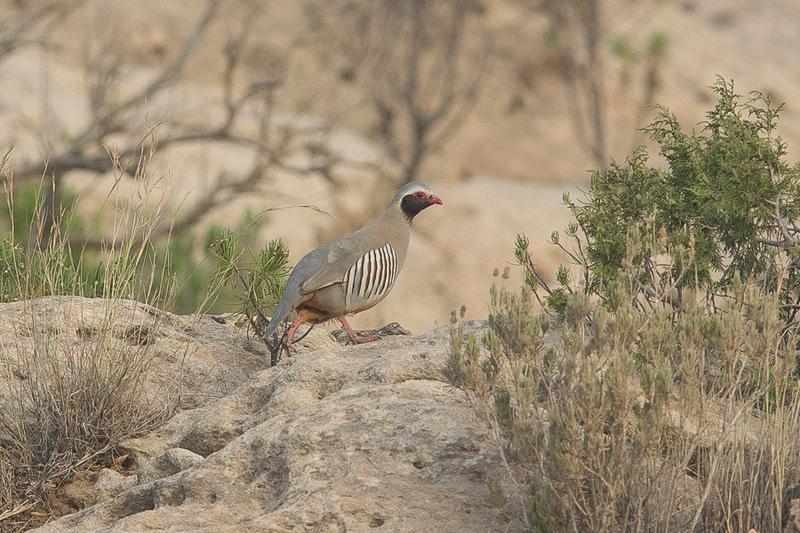 It can be easily identified from other partridges by the black cheeks and throat and a narrow white stripe from the bill to behind the eye separating the black from the greyish-blue head. Both sexes look alike, although males may be slightly larger in size and have a tarsal knob. After multiple visits, and the increasing number of birds watches in the south, I think the status is (uncommon), I saw and heard it always from Taif to Abha in several locations.